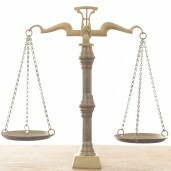 Why Medical Specialists Should Want to End the Reign of the RUC | Replace the RUC! The old doctors know. The practice of medicine has changed in a very basic way over the last 20 years. Physician relationships have lost their civility and have been replaced by a level of tension that takes the fun out of collegial interactions. I remember my first year of family medicine as the only doctor in Weeping Water, Nebraska. My personal medical community had gone from an entire medical school campus with limitless lectures and many physicians to share in “interesting cases” to an occasional phone call with a consultant in Omaha. These contacts became my primary source for medical education and updates for Weeping Water’s health care. The phone calls were collegial, respectful, and focused on what was best for my patients. 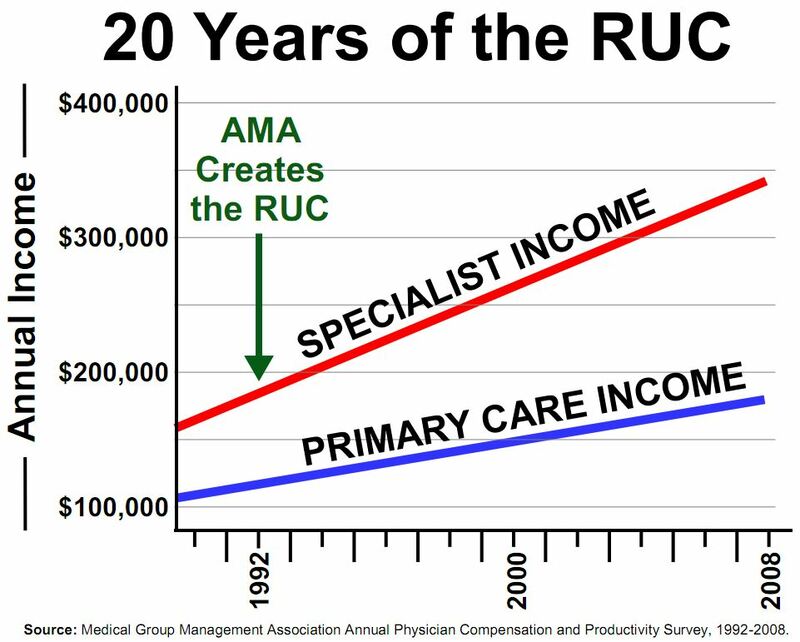 The RUC is the secretive committee of the AMA that has been CMS’s primary source of physician payment data over the past 20 years. It has elaborately articulated the complexity of medical procedures but ignores and confuses the cognitive work involved in patient care – collapsing it into a few evaluation and management codes. 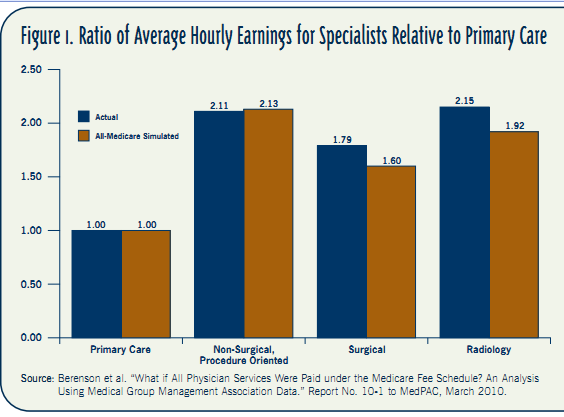 As a result, many medical specialties have found that their financial success is tied primarily to doing things TO patients, rather than caring FOR patients. The RUC has shifted these physicians’ attention away from the hard work of knowing patients over time and fine-tuning their treatments based on subtle changes discovered by history and physical toward focusing on which procedure can be done to a patient and legitimized to an insurance company. Let the “primary” do that other stuff. A patient with long-standing heart failure is seen at the cardiologist’s office. Since the last visit, you have tweaked his diuretics, handled his depression, and switched him from an ACE to an ARB because of cough. The patient returns to your office complaining that he only got to see the cardiologist’s PA, who wants him to have an implantable defibrillator. He is worried about having anything done that would shock him while driving. In each case, the medical specialist has been incentivized by payment realities to concentrate on doing procedures rather than thoughtfully caring for the patient. My now-rare phone calls with consultant colleagues do not deal with the subtle signs of a patient’s heart failure but rather, disagreements about whether the patient’s quality of life will be affected by shocks delivered unexpectedly to the heart. The tone is often adversarial rather than collegial. This conflict is intensified when the specialist is “owned” by the hospital, which is increasingly the case. Too often, the specialist’s procedure may not be good for the patient, but it is certainly good for the hospital’s bottom line. Is it any wonder that we have so many unnecessary caths, defibrillators, endoscopies, and on and on? The RUC has decimated the ranks of primary care, damaged patient care by encouraging unnecessary medical procedures, and taken the joy and honor out of the practice of many medical specialties. My specialty colleagues should be paid well to thoughtfully help me with difficult cases. It is unfortunate that instead, they must be focused on doing another procedure to pay the bills. Paul Fischer MD is a family physician at the Center for Primary Care in Augusta, GA. Last week, with 5 of his colleagues, he filed suit against HHS and CMS to challenge the illicit relationship between CMS and the RBRVS Update Committee (RUC), which has shaped the current payment system. To read more or support the legal fund, go here. Heartily support your efforts. I have personally lobbied contacts at AAFP and spread the word locally about the destructive consequences of the RUC. Please continue making a difference. Pingback: Why Primary Care Doctors Sued CMS over Its Reliance on the AMA’s RUC – and Why the RUC Should Be Changed or Replaced | Replace the RUC! Pingback: Adding Seats: The RUC’s Sleight of Hand | Replace the RUC!